The schedule has changed to Final version 2.0 due to six coaches stepping up to coach multiple teams. We appreciate their dedication and everyone's understanding. 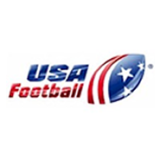 This website is designed to give you easy access to all of your football teams game schedules, scores and standings. As the season progresses, you will find it easy to follow your schedules, standings, and any changes or new information regarding NMYAFL upcoming events. Be sure to bookmark this website for quick and easy access to all our sports information.